Alex joined Isentia as the General Manager of Hong Kong in June 2017. He has deep insight in the media sales industry, media groups and mass media, including time with Maxus Communication, HK Cable TV, and JCDecaux Texon. cheap fjallraven kanken uk He worked in the advertising sales team of Asia Inflight for 10 years, leading the sales team there to formulate sales strategies and drive business development. asics tiger uomo He has rich exposure in Hong Kong and China’s B2B market and media industry. 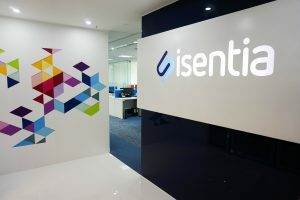 In addition, to accommodate the rapid growth in the region, Isentia has moved the Hong Kong office to a more spacious location in the same area. Nike Air Yeezy 2 With the acquisition of global content marketing agency King Content and press distribution service China Newswire in the past two years, Isentia has extended its offering from media monitoring and analysis to an all-around business intelligence solutions, by adding actions on real data intelligence. Isentia Hong Kong new office address: Unit 2503, 25/F, K Wah Centre, 191 Java Road, North Point, Hong Kong. Andrew Luck Jerseys Ph. Isentia is global leading business intelligence company, providing over 5,000 clients with information, analysis and advice 24/7/365. fjallraven kanken backpacks sale uk Isentia has more than 1,100 employees across 15 countries filtering information from over 5,500 print, radio and television media outlets and over 250 million online conversations per month.